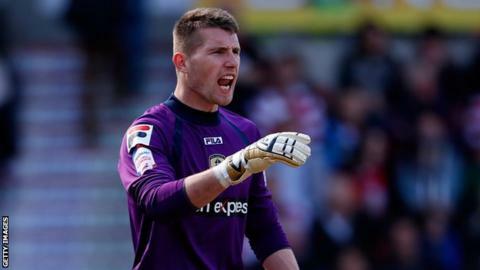 Torquay United have signed former Notts County goalkeeper Fabian Speiss. The 21-year-old German, who has also spent time on loan at Bristol Rovers, has been on trial at the Gulls this summer after being released by County. "Fabian is a goalkeeper that I have watched for two-and-a-half years," said Torquay boss Paul Cox. "We've been working one-on-one with him and he's gone from strength-to-strength since he's been here," Cox told the club website. Speiss will battle with highly-rated teenager Dan Lavercombe to start in goal for Torquay this season. "It means that we now have two top-class young goalkeepers both vying for a starting place and that is a great position to be in. I am delighted to have him on board," Cox added.